The future is bright, the socks are orange and the football can be like clockwork under Maurizio Sarri. 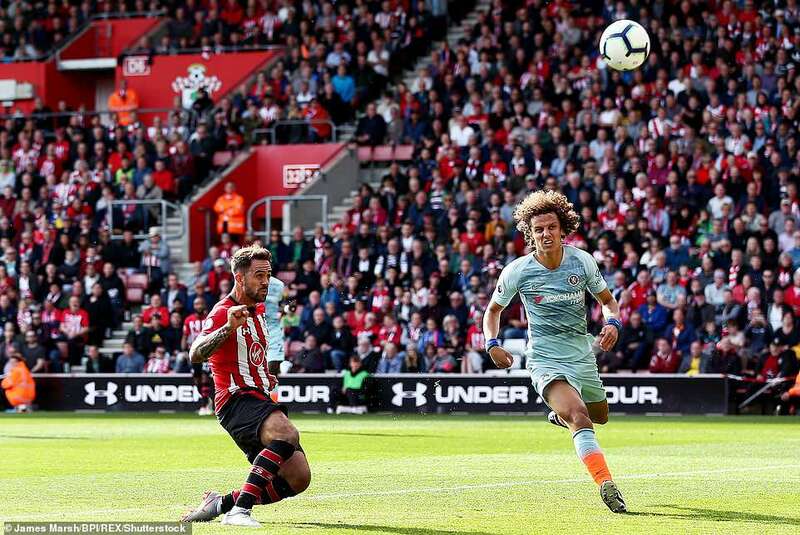 Chelsea stretched their unbeaten start under Sarri to 11 games with victory at Southampton. 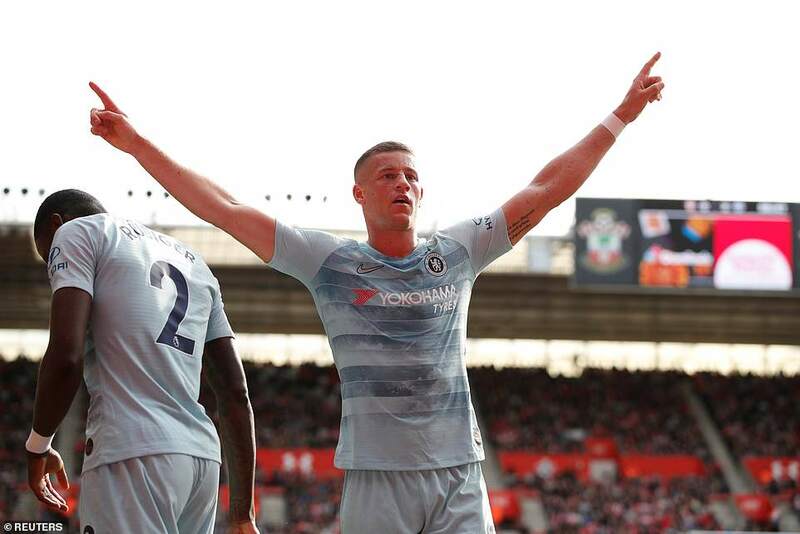 They remain in step with the title contenders at the top of the Premier League table and no-one is flourishing quite like Ross Barkley. For more stats and maps visit Sportsmail’s in-depth Match Zone by clicking here. 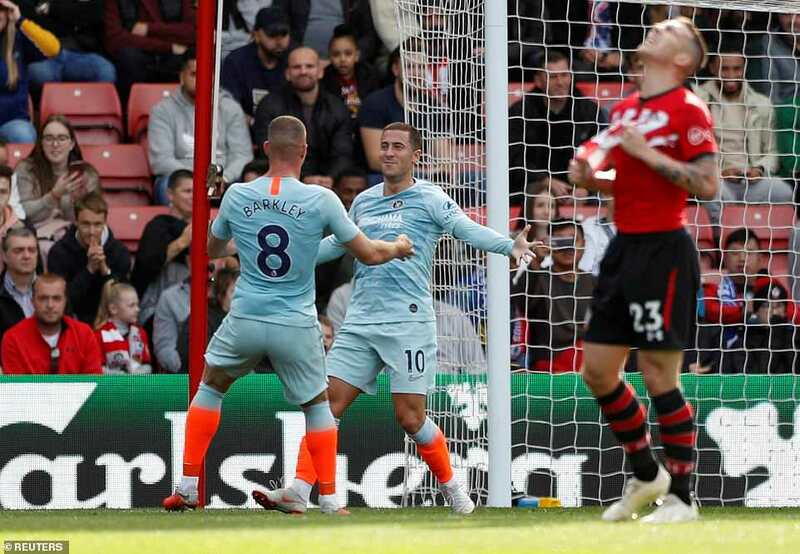 Barkley made the first for Eden Hazard at St Mary’s and scored his first Chelsea goal to clinch the win in the second half. It was his first goal since he scored the winner for Everton against Watford in May last year and he received a standing ovation when he was replaced. 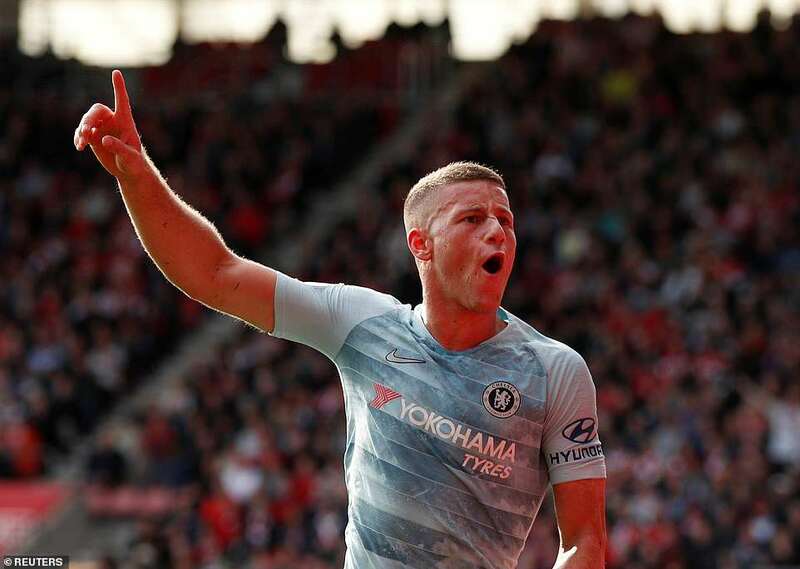 Barkley deserves a turn of fortune and it has been quite a week for a midfielder recalled into the England squad for games against Spain and Croatia. 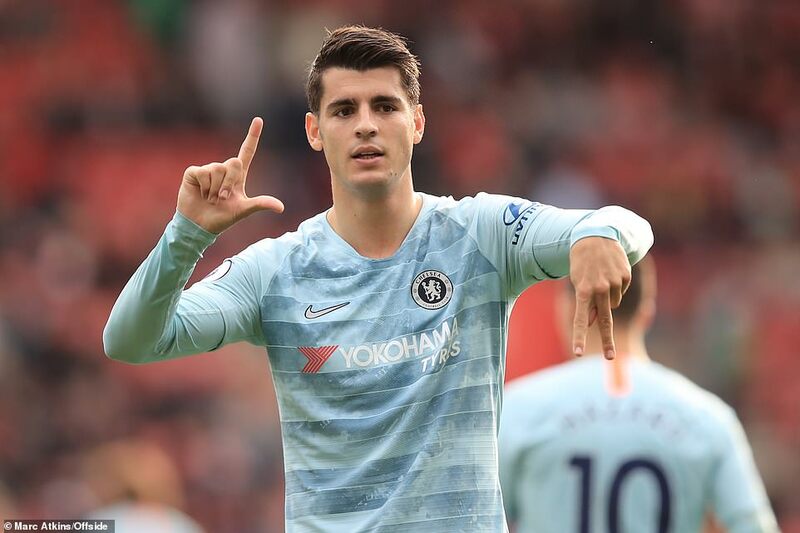 Alvaro Morata came off the bench to add the third, his second goal in as many games after scoring the winner against Vidi in the Europa League on Thursday. 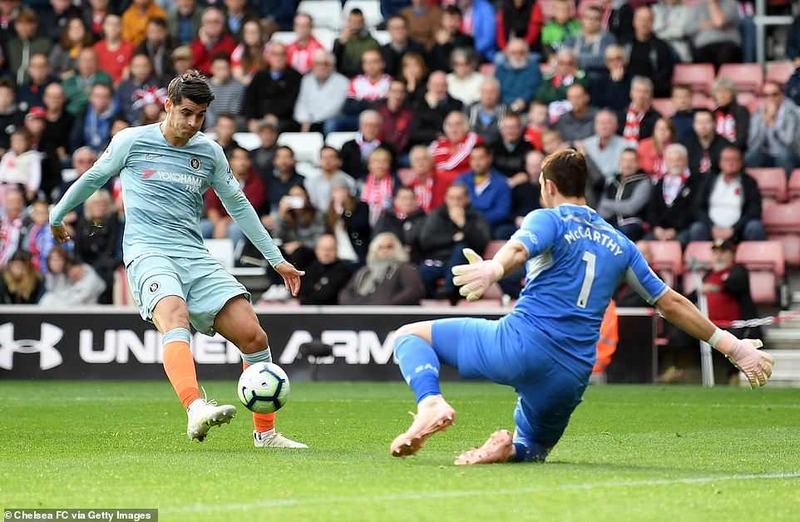 Sarri started with Barkley ahead of Mateo Kovacic in midfield, a vote of which was repaid after half an hour when he created the opening goal. Barkley pounced to win the ball from Pierre-Emile Hojbjerg in midfield and unzipped Southampton’s back three with a quick pass forward. 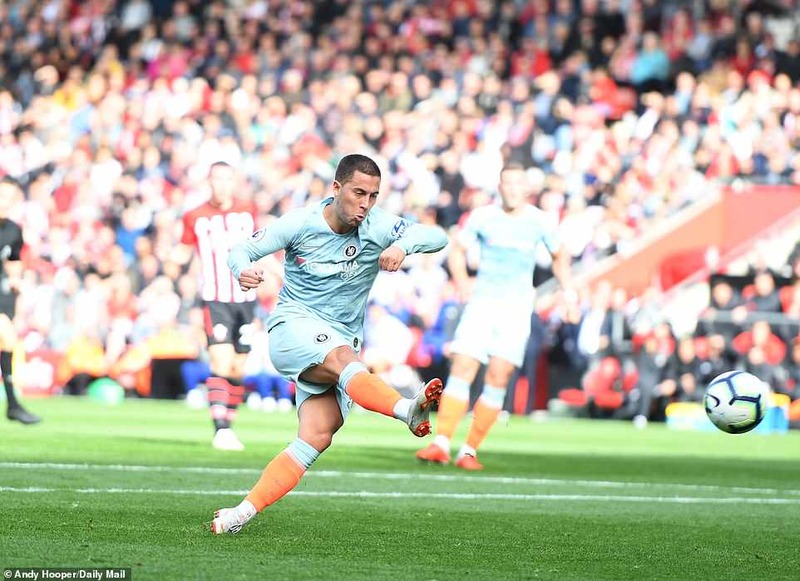 Hazard gathered the ball as he eased into the penalty area and beat Alex McCarthy with a crisp and nerveless finish. 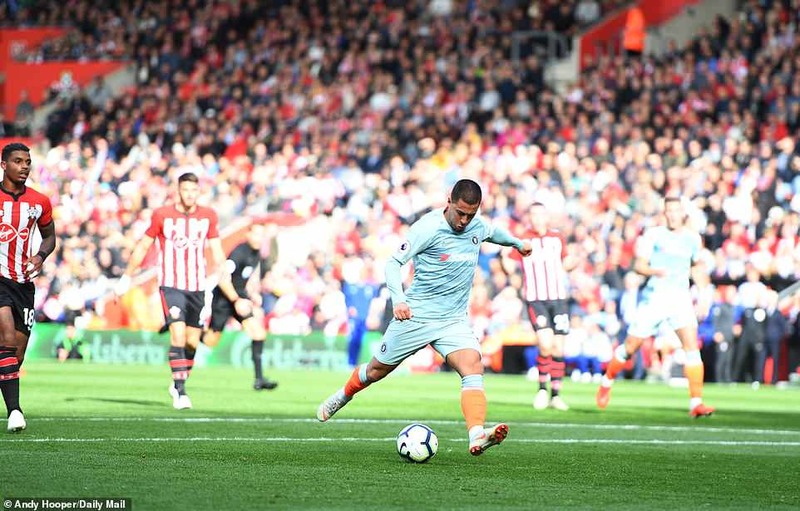 It was Hazard’s eighth goal in 10 appearances under Sarri and Chelsea thoroughly deserved the lead having dominated the opening exchanges. 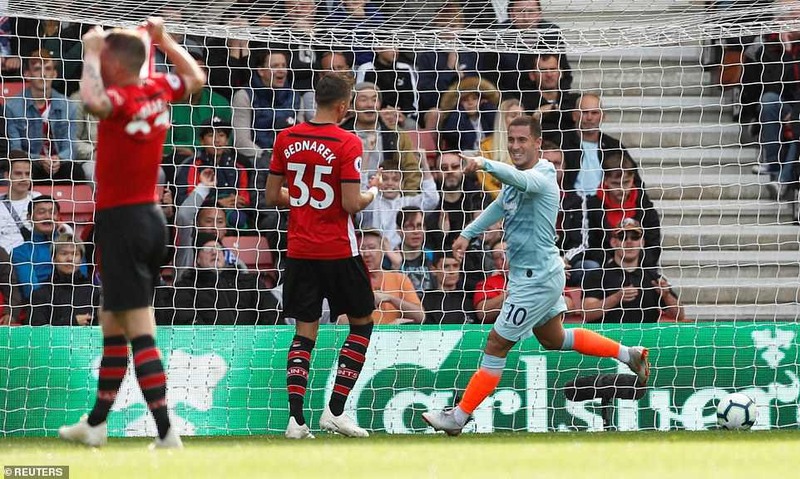 Saints defended their penalty box and protected ‘keeper McCarthy with blocks to deny Hazard and Willian, who saw an early drive deflected against the bar. 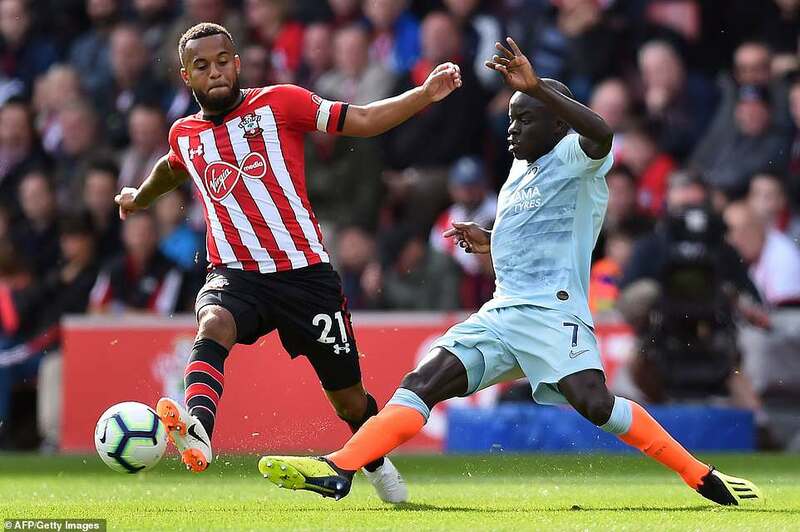 Having survived the early pressure, Southampton became more adventurous and, midway through the first half, and Mario Lemina almost latched onto a cross from Danny Ings. 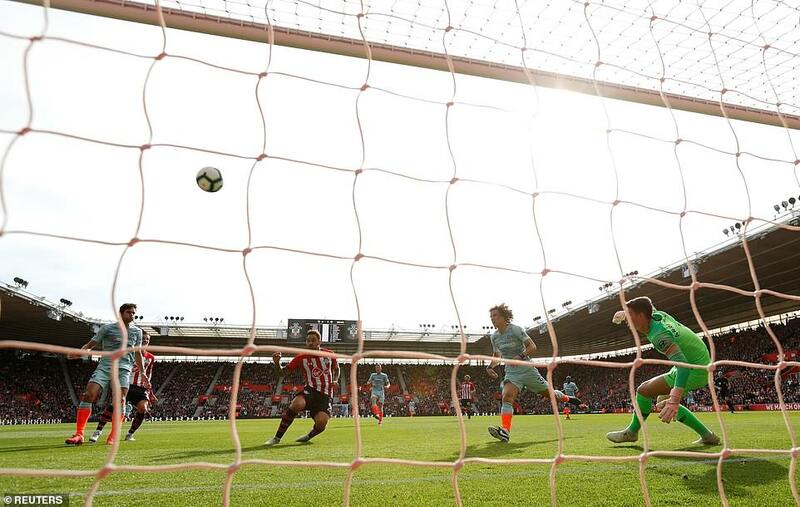 Manolo Gabbiadini tested Kepa Arrizabalaga from long range before Ings missed a glorious chance to put the home team into the lead. 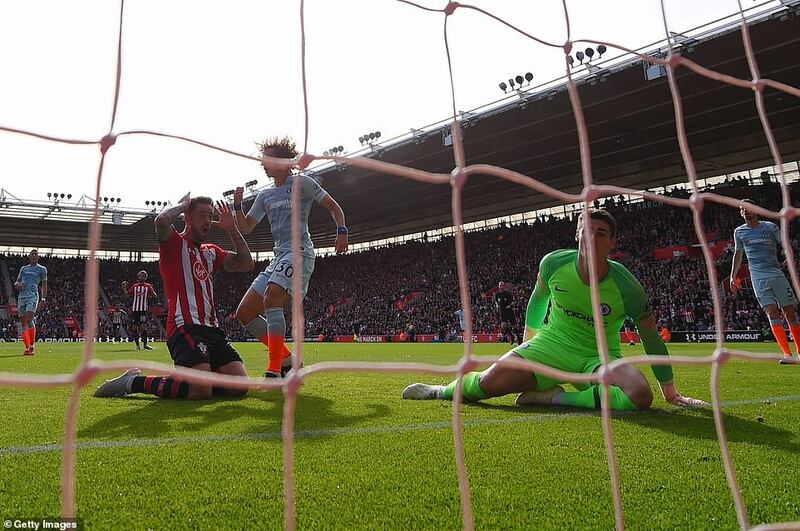 Nathan Redmond released Ryan Bertrand, overlapping on the left flank and he picked out Ings, no more than five yards from goal with Arrizabalaga beaten by the cross. Arriving at speed, Ings crashed his volley high over the goal. 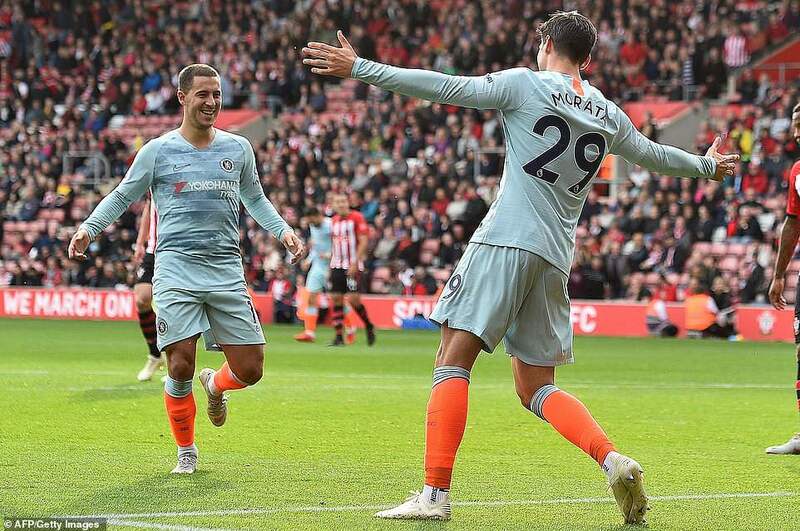 Referee Craig Pawson rejected appeals for a penalty when Olivier Giroud was felled by Wes Hoedt before Hazard’s goal. 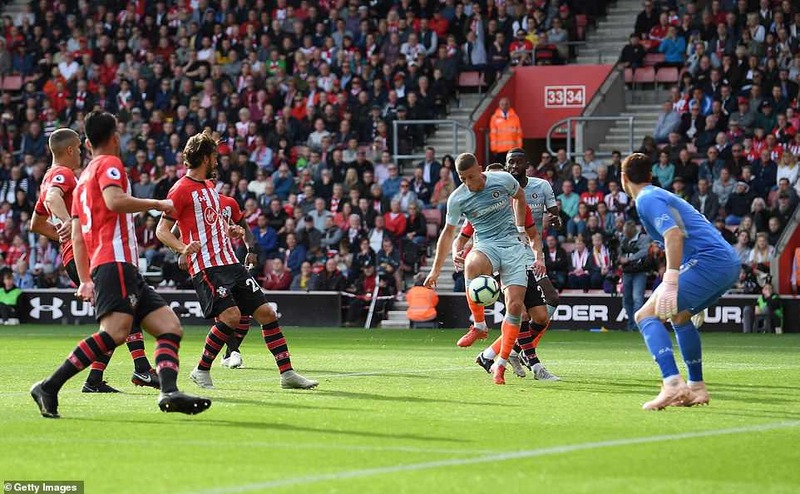 Chelsea purred for long spells but Sarri might be concerned with the chances they conceded. Bertrand might have done better with a chance, early in the second half, a side-foot volley over at the back post. Arrizabalaga made some fine saves in the second half, the best of them to turn a fierce 30-yarder from Redmond onto the bar. 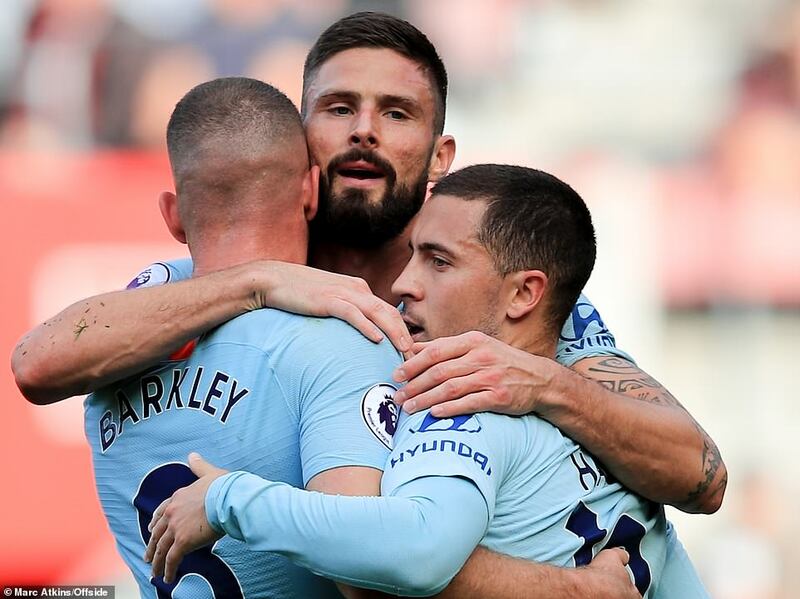 Chelsea’s second came from a free-kick clipped into the box by Willian towards Giroud, who twisted into shape for an acrobatic volley but miscued it across goal to Barkley, who tapped in from close range. 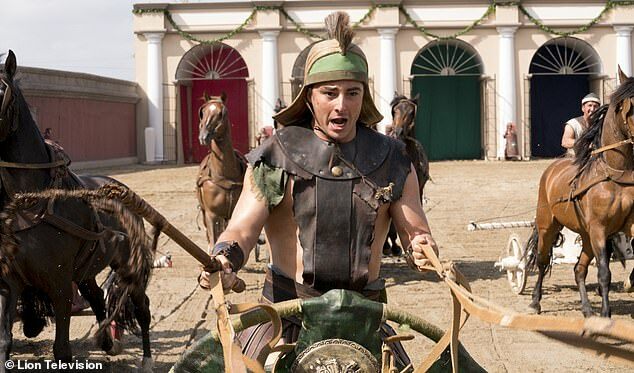 Morata completed the scoring with a dink over McCarthy in stoppage time. Southampton flickered, had moments of promise but they have won only once in the last 15 home games and this is shaping up as another season of struggle. Can find the stocking in this festive scene?